VoiceGate Corporation has over 30 years experience as a provider of telephone equipment and voice processing systems to telecommunication carriers, business, industry, and government. In 1989 under a mandate to design, market, and support "THE BEST PRICE PERFORMANCE VOICE PROCESSING PLATFORM AVAILABLE IN THE INTERNATIONAL MARKETPLACE", the company developed and introduced to the market its VIP4000 PC based voice processing platform. Today, VoiceGate's family of products integrate with virtually all modern business phone systems. VoiceGate markets its products globally through a growing qualified dealer network meeting strict standards of technical and commercial qualifications. Designing, developing and marketing technically superior PC based voice mail and interactive voice response systems. System design is targeted at small to mid-sized installations with emphasis on simple installation, ease of use and long-term reliability. 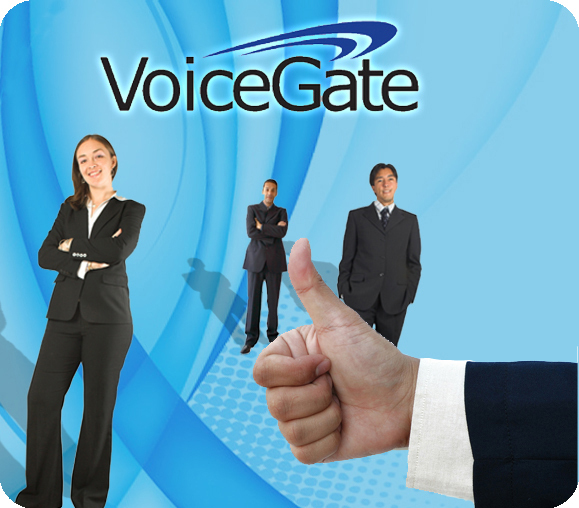 VoiceGate voice processing products are marketed globally under the trade names VIP4000, VoiceGate "LITE", VoiceGate WAV, VoiceGate ICS, VoiceGate ICS LITE, CallAlert Wireless and VoiceGate NS Gateway through interconnects, wholesale distributors and original equipment manufacturers. VoiceGate technicians are trained not only in the installation and maintenance of the VoiceGate family of products, they are also able to offer experienced support for a wide range of the most popular business phone systems currently in service. VoiceGate technicians have at their disposal, on site, fully functional telephone systems from each of the major manufacturer's offerings. Award from: Federal Public Safety Department, for Emergency Preparedness for a municipality in Canada – part of the PRISM initiative.